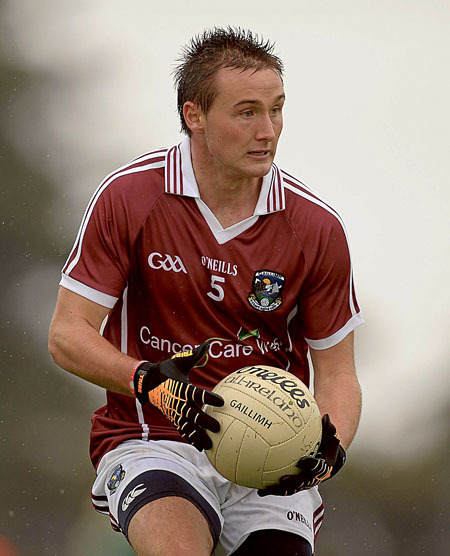 Galway will be relying on leaders like Maigh Cuilinn’s Eoin Walsh to see off Dublin. The Galway minor footballers will head to Dublin this Saturday for theAll-Ireland semi-final on Sunday at Croke Park (1.30pm ) knowing most people expect it to be a very tough day at football headquarters. Dessie Farrell’s Dublin outfit are boiling hot favourites to defeat Galway. Odds for Tommie Joyce’s team at 4/1; Dublin are 1/5. Even on the handicap betting, the Tribesmen are 5/6 at + 5 which tells you what the bookmakers expect to happen. Farrell, who is also the Gaelic Players’ Association president and is now stationed in Croke Park in his day job, has described his panel as one of the best the capital has had at this age group. They have beaten Longford, Meath, Kildare and Cork comprehensively to reach this stage of the competition and have looked very comfortable in all those victories. Galway will announce their starting line-up tonight (Thursday ) and despite what the bookies may think, they are not travelling up to be cannon fodder for anyone. Team manager Tommie Joyce knows Galway are huge underdogs, but he is confident his team will come out with all guns blazing. Joyce, who won twoAll-Ireland senior medals with Galway in 1998 and 2001, knows his side will have to produce a far better performance than anything it has done heretofore. Sunday’s double header with Donegal and the Dublin seniors is already a complete sell-out and with a capacity of 84,000 there should be a massive crowd in attendance for the second half of the minor game. Galway supporters will be in a complete minority, but Joyce is hopeful some of that pressure may transfer onto the Dublin youngsters.